Mucking out, turn in/out 7 days per week. Hard feed twice daily, unlimited hay or haylage. 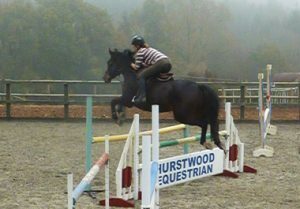 Use of all facilities, including Indoor School, Outdoor Arena and 80 acre Cross Country Course. Plus optional riding, lunging and fitness work. A bespoke Livery Agreement can be arranged. Please call the office to discuss your requirements 01825 732002. We present your horse at its very best. 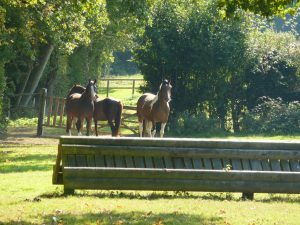 We are happy to take in horses and ponies on livery to sell after an initial assessment. 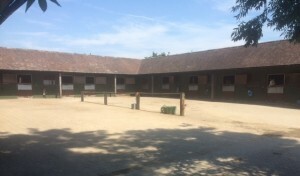 The horse will be taken in on a full livery basis which covers the day to day duties alongside exercising, schooling and training – working on any necessary areas from hacking out to XC, using our facilities here. We can then present your horse to potential buyers at its very best, again utilising our facilities including Cross Country course, indoor arena and off road hacking. We have access to a large network of clients waiting to purchase suitable horses and ponies and we aim to make the process as easy as possible for you and your horse. We only take horses that we know we are able to match with a suitable rider and, more importantly, a 5 Star home. We offer a holiday livery service for any period of time from 7 days onwards. We believe that a holiday livery service doesn’t just include the provision of hay, feed and bedding – we take pride in giving extra service in the form of fuss, love and attention, providing our clients with total peace of mind whilst they are away.We can take both non-riding and exercising holiday liveries and you can even take advantage of our schooling services while you are away. 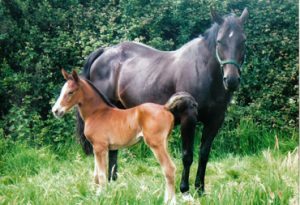 Our large, safe foaling boxes are set aside in a quiet area, away from the main yard with the owner on site 24/7.At weaning time why not send your mare of foal to us for a few weeks? We have some lovely, calm turn out companions and a friendly, quiet atmosphere to alleviate their worries.